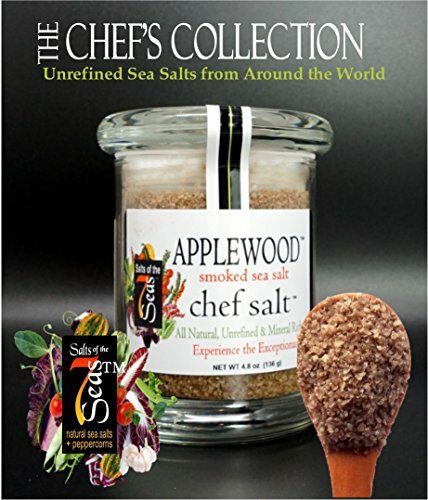 Applewood Smoked Gourmet Sea Salt- Best Seller! One of our most popular sales! A robust sea salt smoked over an open fire of aged, sweet Apple wood, this enticing salt adds a sweet and smoky flavor for all your grilling and roasting. It is excellent on grilled veggies, steaks, chops, shish kabobs, potatoes.... Anywhere you would like to enjoy a subtle, smoky flavor. The salt is roasted over aged, sweet Applewood to give this an incredible exciting flavor. View More In Sea Salt. If you have any questions about this product by Salts of the 7 Seas, LLC, contact us by completing and submitting the form below. If you are looking for a specif part number, please include it with your message.